Tomorrow, April 25, on the Southern Methodist University campus in Dallas, Texas, four living presidents — Jimmy Carter, No. 39; George H.W. Bush, No. 41; Bill Clinton, No. 42, and Barack Obama, No. 44 — will honor one of their colleagues, George W. Bush, the 43rd president of the United States, at the dedication of his presidential library. So I take this occasion to remind my fellow liberal Democrats, many of whom continue to attack Bush in harsh and personal terms, of three things about him that I don’t think they understand or appreciate. First, while there were many polices under Bush with which liberal Democrats (myself included) disagreed — such as tax cuts, the Iraq War and not paying for either (as well as the Afghan war) with current revenues rather than borrowed money — there must be a distinction between disagreement and personal attack. For example, many Democrats still use the “lie” word in describing Bush’s rationale for the Iraq War — that Saddam Hussein had weapons of mass destruction. This turned out to be wrong. But Democrats in the Clinton administration also believed Saddam had WMDs, as did most experts in the U.S. intelligence community. Our politics have become so poisoned and our government so dysfunctional precisely because too many people — on both sides — can’t make a distinction between lies and being sincerely wrong. Second, Bush is known for his brilliant slogan when he first ran in 2000, describing himself as a “compassionate conservative.” But let’s not forget that on many issues, Bush was more “compassionate” than “conservative” — indeed, he was sometimes closer to Republican Theodore Roosevelt’s free-market progressivism than William Howard Taft’s laissez-faire conservatism. Examples include “No Child Left Behind” education reform, presented together at the White House by Bush and the liberal icon Sen. Edward Kennedy (D-Mass.) in the early days of the Bush presidency; support for broad immigration reform, very similar to the bipartisan legislation recently proposed in the Senate; and an extension of Medicare to include prescription drug benefits — the most far-reaching and generous Medicare reform since Lyndon Johnson. Third, it is important to remember what a good man with a good heart George W. Bush is. I remember thinking, “Whoa. This guy is much different inside than the fun-loving frat brother partying with me at Delta Kappa Epsilon.” As I watched him grow and evolve over the years, overcoming times of great personal pain and challenge to become a two-time governor of Texas and a two-term president of the United States, I only came to admire and like him even more than that evening at Yale. My late mother always used to say you can judge people on how they love and treat animals — good if they do, bad if they don’t. When Bush’s beloved dog, Barney, died recently, the statement he issued exemplified for me the inner core of goodness on my mother’s scale of judgment. Godspeed to you, George Bush, and blessings for your mom and dad and family on this great occasion. Davis, a Washington attorney and principal in the firm of Lanny J. Davis & Associates, specializing in legal crisis management and dispute resolution, served as former President Clinton’s special counsel from 1996-98 and as a member of former President Bush’s Privacy and Civil Liberties Oversight Board from 2006-07. He currently serves as special counsel to Dilworth Paxson, and is the author of Crisis Tales: Five Rules for Coping With Crises in Business, Politics, and Life, recently published by Threshold/ Simon & Schuster. 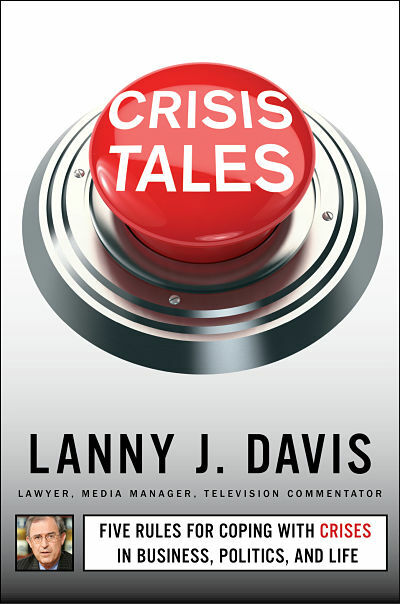 He can be followed on Twitter @LannyDavis. This article appeared in The Hill today.